Amy Roth earned her doctorate in clinical psychology from Chestnut Hill College. She specializes in working with children and adults as well as couples and families undergoing transitions and adjustments to a variety of life circumstances. Dr. Roth also specializes in working with couples and families struggling with issues related to stepfamilies, blended families, and military families. She has done research and lectured on the impact of deployment on the family unit. Her experience includes working with children and their adults in addressing developmental issues, behavioral difficulties and parenting concerns. 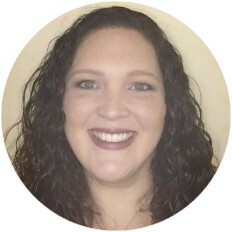 She has experience working with undergraduate and graduate students as well as adults in addressing issues including depression, anxiety, difficulties with adjustment, everyday life stressors, relationship difficulties, family issues, grief, and trauma. Amy’s approach to therapy focuses on developing a trusting, non-judgemental relationship where her clients feel safe and understood. She views therapy as a collaborative process where clients have the opportunity to explore their concerns in the context of their life experiences, culture, values, relationships, belief system, and goals. She uses a variety of interventions that highlight the client’s individuality and strengths while helping them move toward a more fulfilling life with more satisfying relationships.